Actually, I can’t lie to you–I don’t really mind because it gives me an excuse to change up the labels a bit!! By the way, have I told you I’m changing my color scheme this year? I’ve had the shades of blue for a couple of years, then turquoise and black, and now, I’m ready for something new! I’m trying to keep it relatively low-budget. So far, I’ve only ordered a new scene setter, a couple of new lamps, and contact paper for the desks. I plan to keep everything else storage-wise, just update the room and storage with new labels and signs. So, I was thinking with this new color scheme, I wanted to try something else. I want to make the whole room look really streamlined and draw attention to the student’s work and important signs and labels, more than anything (sometimes I think I get a little sign-crazy). If this makes any sense, I want it to look kinda bloggy…you know, colorful, organized, different shapes. Just really eye-catching! So, back to the labels. I was thinking it would be really cool if some of the labels were round, instead of square. I don’t know about you, but I am terrible at cutting shapes…they always come out kinda lopsided. So I did some searching around the net and found the coolest little scrapbooking tool…it’s by EK Success and it cuts circles!!! It’s so easy too!! Ok, so I know this round label thing may seem really silly…but I think it might be one of those little things that makes a really nice touch with the new design and will pay off in the end. Hopefully. I was hesitant to share the round ones, only because I’m not sure how many other people would actually like to try this. If so, please let me know and I’ll share them in the next post. But I can’t leave without sharing something with my lovely friends, so I am attaching the leveled labels in a larger size, in case you’d like to try a different-shaped label or one backed on black paper like this. 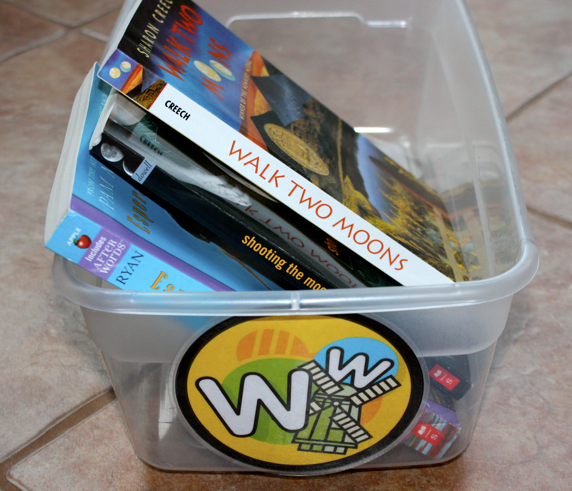 They are similar to the ones shared in Leveled Bin and Book Labels, just not in boxes. They are also in a Word Doc., so you can resize them as needed. I can't believe you did this! Last week I just completed my re-labeling and organizing my library and I actually cute a few of the labels in a circle because they didn't fit the book box the way I wanted them too. Gosh sometimes it's like you read my mind. I would love to have the round labels. Your creativity is exceptional! Is it really bad to admit that I love you publicly on a web site!! I have been looking at different ways to do my library & nothing has "clicked" until right now! I can't thank you enough for sharing this, I'm going to work on my classroom library this week & this is a huge help!!! Sharon, thank you so much for the sweet words! I'll be sure to share them in the next post. 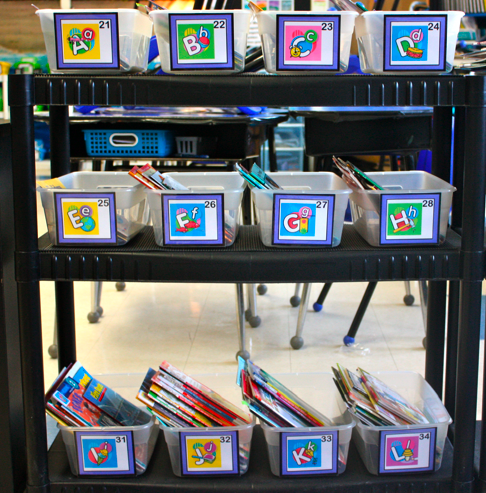 I love the round labels and would def like to use them, I loved your post on the leveled library and used all your stuff to do my library this past year, but I think I lost the labels for the baskets so I would def use the round ones!! It's the little things that make us happy 🙂 I do have a question for you … Is your library only sorted by levels or do you also do genres? So many people have done it differently and Im still not sure how I want to do it and moving to 4th grade I don't know what is better, would love your thoughts?? Kristen-you truly never fail to disappoint!! I love the round labels!! They look fantastic! Can't wait to see your new colors! The circle cutter is a great idea…do you have a cricut? This might work and you could do a lot at one time. Also did you think about using fadeless bulletin board paper for the background? I've had some up for 3 years…smile, smile…no fading (we don't have to take down our boards unless we want to at the end of the school year). I am wondering, how do you make the cute things? Do you use clip art and your imagination? I really like your artwork! It is great! I'm still kind of new to first grade and I love all your ideas! What kind of books go in this library? Where do you find the books and how to you organize them? LOVE YOUR BLOG! I also would love your circle labels! I love this post and those circle labels!!!!! But I think anybody obsessed with polka dots loves circles! What a fabulous idea! Thinking outside of the "box" haha! Lovin' this! I would love the round labels, too. Where did u get your graphics? How do you level your books in your library? I am trying to figure out the best way to level them because I have such a huge variety in my library! 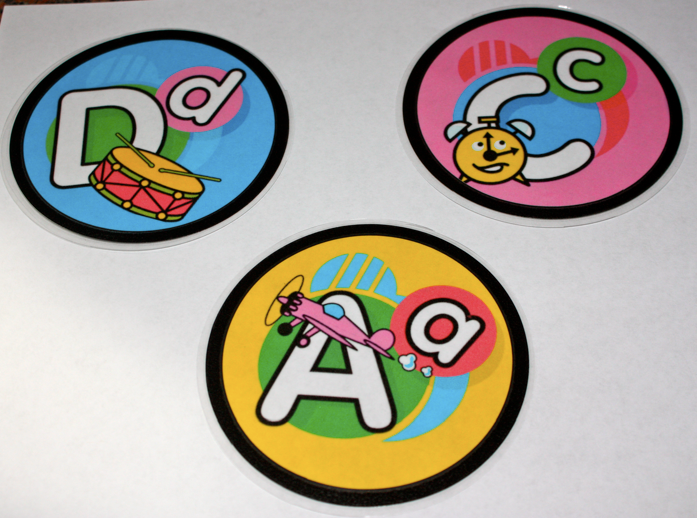 I would love to have a copy of the round labels too…I'm getting ready to level my books in my classroom. Thanks for sharing!!! The look fabulous. I love the round labels. Hi everyone! Thanks for the nice words!! I will share the round labels next and be sure to post more about how I level and set up the rest of my library. I didn't make the design on these…they are from Microsoft clipart. I love how they are bright and easy to read! Kristen, I am starting my first year as a media specialist and have been searching forever for something like this to use in the "Everybody" section. I can't believe it just popped up in my Google Reader. You are the best! Thank you soooooooooooo much! And P.S. I would love the round ones as well. L.O.V.E. the round labels!!! Thanks for sharing! You rock! I LOVE these labels. I'm currently in the process of leveling my massive library with them! Will you be posting the genre /interest labels any time soon? I'm VERY anxious for them!!! email me at eyergan@me.com if you are able to sell them. I will happily pay the fee. Super! Thanks! Can't wait. <3 your stuff. I would love to have the round labels. I am changing grades, classrooms, and buildings. With this said, I am completely redoing my classroom and hoping to finally get organized. This is the easiest way to keep a class library that I have found anywhere. Please send the round labels if possible. Thanks for all the wonderful ideas. I love your classroom library and would love to do the same to my library when I move to a new classroom. I would also love to have the round labels if possible. Amber.Steele789@gmail.com Thanks so much!!! Wow! Your classroom is such an inspiration to me! I am doing a major reorganization this summer and would love a copy of your round labels if you wouldn't mind sharing them. Thank you!! I would really love the round labels! i know youposted this last year, but i am just finding this. These would also be great for a WordWall–not just book bins. 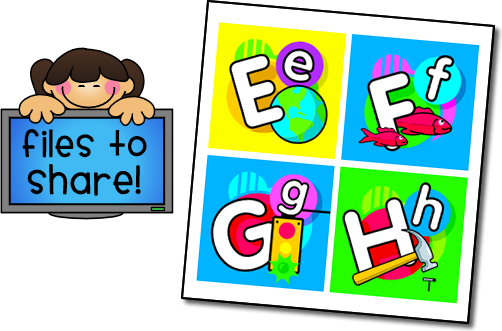 I actually think I might use them for my word wall this, year as my old letter kids are getting kind of tired. I love the round labels! They are fantastically bright and colourful. Could you please send me a copy julia_c_88@hotmail.com. Thank you!